Bright colors, aromatic fruits, crisp vegetables. Ah, the sweet description of a farmers market. 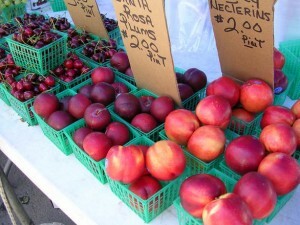 Luckily, farmers markets are cropping up (pun intended) more and more in San Antonio area. Not only are farmers markets a great family friendly activity, but it’s also a great way to help support local farmers and artisans. Looking to browse the market for some amazing products this week? Here are a few markets happening throughout the week and weekend. Time: 7:30 a.m to 1:00 p.m.